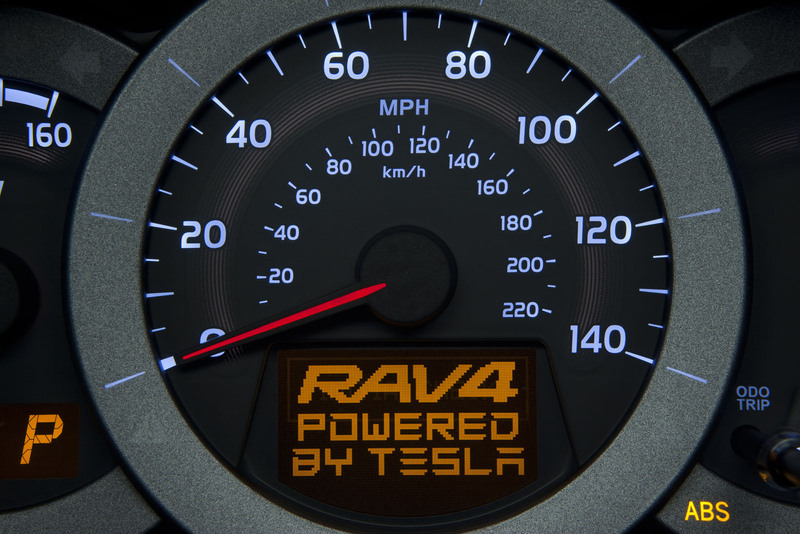 Toyota RAV4 to be “Powered By Tesla”? In one of the “expected surprises” of the Los Angeles Motor Show we find a teaser of the Toyota display over there. A while back, Toyota spoke of expanding their hybrid range and employing the help of Tesla to do so. This picture of the RAV4’s dashboard proves results of the collaboration have started to take life. This particular edition of the Toyota RAV4 will be all electric but according to the Japanese we should get ready to see the same words in more and more of their products. The Toyota RAV4 will have a debut set for the Los Angeles Motor Show but that’s not all the company told us so far. According to Executive Vice-President Takeshi Uchiyamada the Toyota RAV4 EV should be available at your local dealership sometime by 2012. That remains to be confirmed, but I have a feeling the Los Angeles Motor Show will reveal more and more about the electric version of the RAV 4 SUV. I’m also expecting to see more from the Lexus counterpart about their work with Tesla. Well at least a nice press release on the matter should crop up during the events.